Without question, the last few years have seen a huge rise in support for the feminist movement across the world. The election of President Trump to office, the accusations that have surfaced about Harvey Weinstein – and other men in Hollywood – as well as the continued lack of equal pay across several sectors of work, means that more women are endeavouring to find their voice, and use it. In 2019, I am certainly proud to be a woman, and a feminist. Feminism has many negative connotations. People assume that everyone who claims to be a feminist are extreme examples of the word. We all burn our bras, wear no make up, and shout in the streets. That’s simply not true – the word itself means belief in gender equality. Being a feminist is nothing to be ashamed of; being a feminist makes you incredibly strong. In 2018, an incredible book was published by Penguin, entitled Feminists Don’t Wear Pink, and Other Lies. This book was curated and forwarded by Scarlett Curtis, an activist born into a talented family. She opens by discussing her own journey to realising she was a feminist – helped by understanding that she could still wear makeup whilst fighting for her rights. After discussing the stages of feminism, the floor is open. By that I mean, the remaining chapters are all written by brave and powerful woman discussing what “the F-Word means to them”. Contributing authors include her close friend Saoirse Ronan, Adwoa Aboah and Skai Jackson. In fact, over 50 incredible women have come together to share their experiences and their journeys to fighting for women’s rights. Audition processes, school experiences, comparisons and ultimately journey’s of discovery are all drawn upon by all kinds of women who want to share their stories to help others. This raw retelling of personal tales of discrimination, empowerment and adventure not only sheds further light on a topic gaining more attention by the day, but it can also serve as inspiration to young girls – and boys – across the globe, as they grow up in this new world. This better, more equal world. The book came at exactly the right time, with the support of the charity Girl Up, an organisation championing women’s rights, with all of the money from sales going towards them. With humour and honesty at its core, this book is the perfect read. As International Women’s Day 2019 fast approaches, it is even more important for women to stand up and take control of their future. But they – we – can not do it alone. Feminism isn’t just for girls, or mums, or history. Anyone can be a feminist, it is not a dirty word. Anyone can believe in gender equality, and anyone can fight for it. So, give this book a read and realise the truth behind the word, and together we can make this f-word acceptable to all. 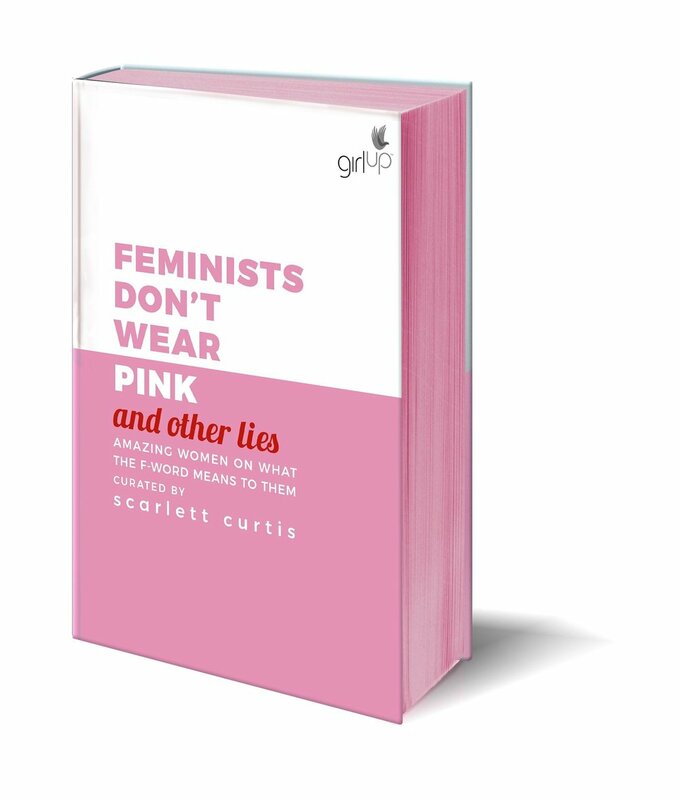 Feminists Don’t Wear Pink, and Other Lies, edited by Scarlett Curtis, is published by Penguin Books.